I feel like things have been so busy lately that it’s only a matter of time before October is upon us. Around here we are in full swing with homeschooling, sports and a 10 month old that is now taking more than one step (she’s now up to 5!). I feel like it’s all happening so fast and I wish I could slow down time to absorb it all. Speaking of slowing down, I shared with you all my decision to cut back on work recently. I won’t lie and say that it was an easy decision, but it has allowed me to have more for my family and that alone has made my decision worth it. 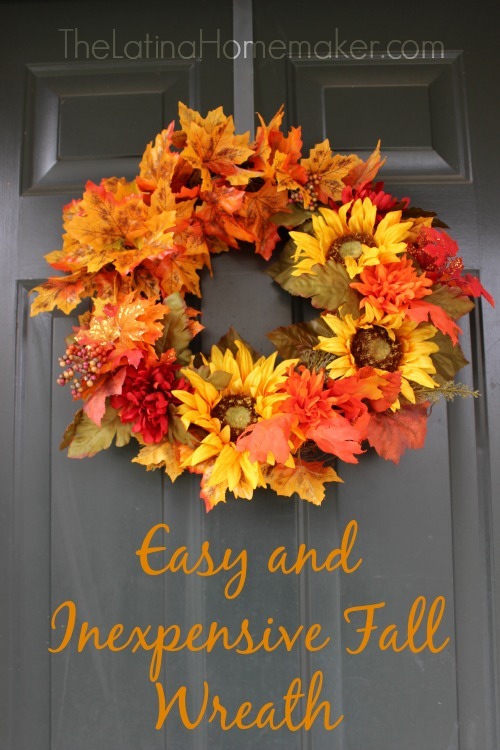 Ok, on to a fun fall project that will cost you very little to make and doesn’t take a lot of time to create. 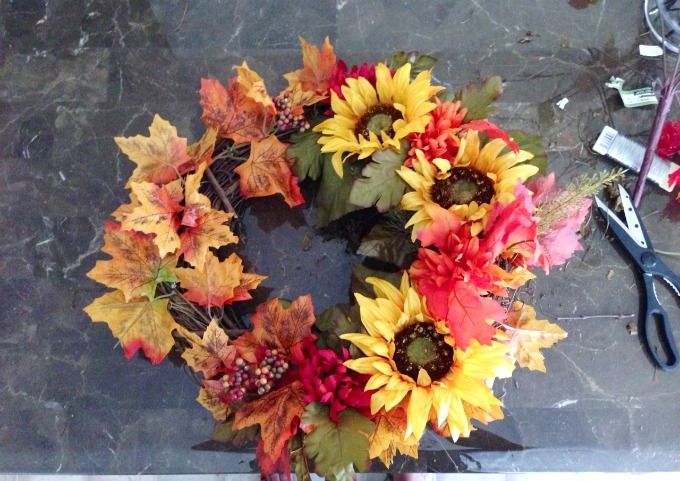 I made this fall wreath with a few supplies from the dollar store and a wreath I bought with a coupon. 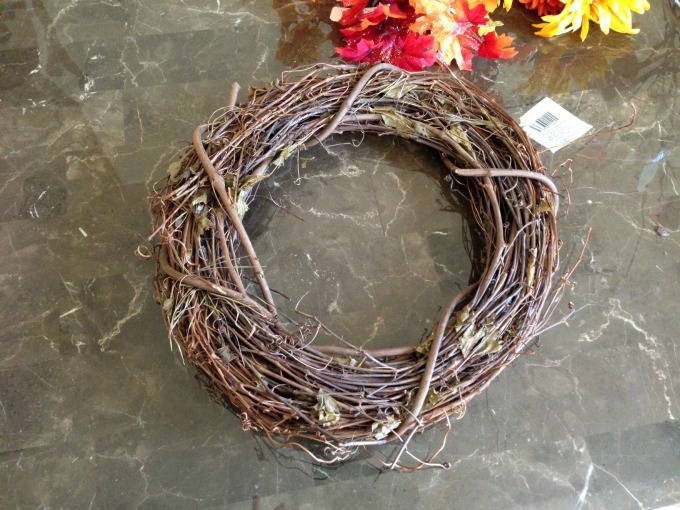 The total was around $12 which in my book is a great price considering how much stores are charging for a wreath these days. 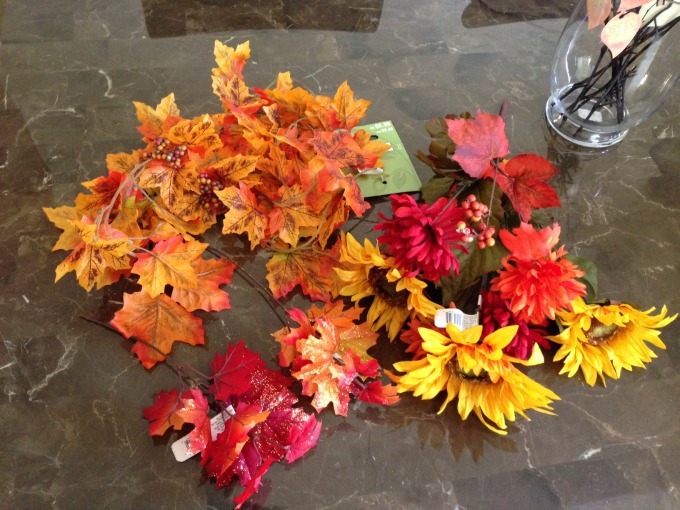 I simply used a leaf garland, a couple of leaf stems that had a little glitter on them and a couple of floral stems. 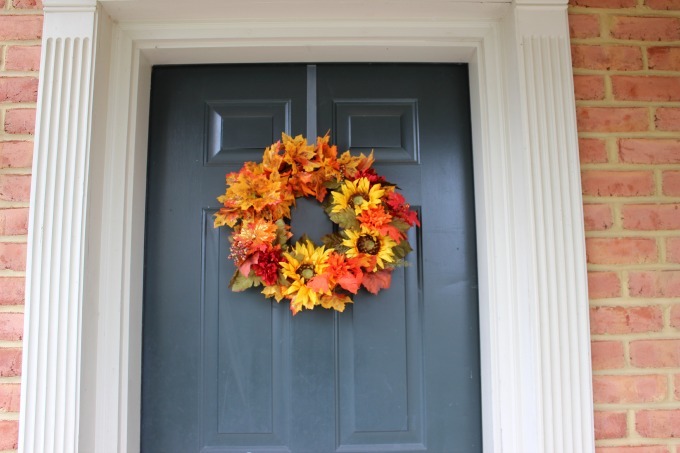 This wreath was my priciest purchase, but I had a 40% off coupon so it wasn’t too bad. 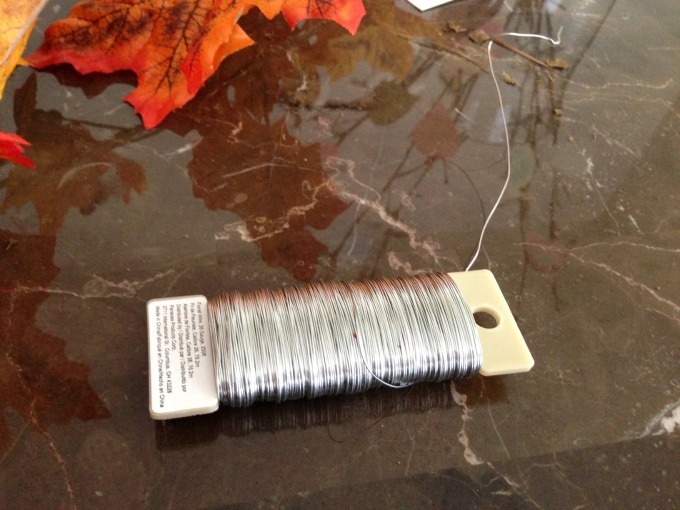 I used this flexible wire to secure the garland and stems. 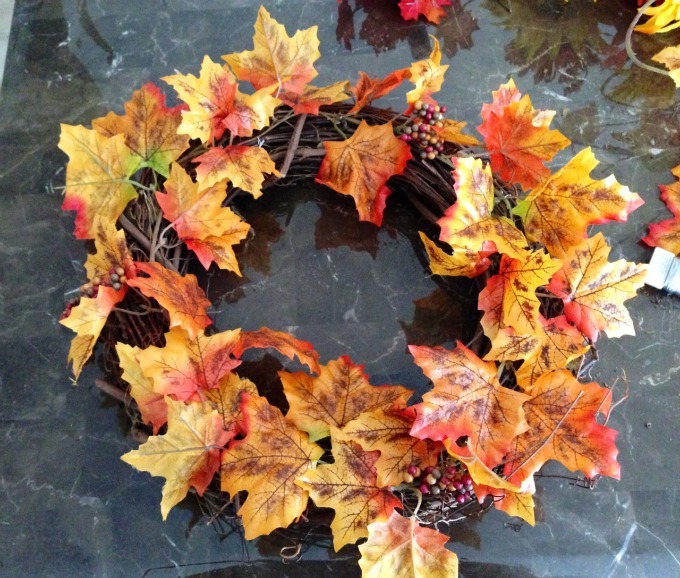 I started off with the garland as my base which I didn’t wrap it around the back of the wreath. Instead, I secured it to the front only to get better coverage. Next, I took the floral stems and separated some of the flowers. I placed them on one side of the wreath. I added the remaining leaf stems to the sections that were bare. Wasn’t that easy?! 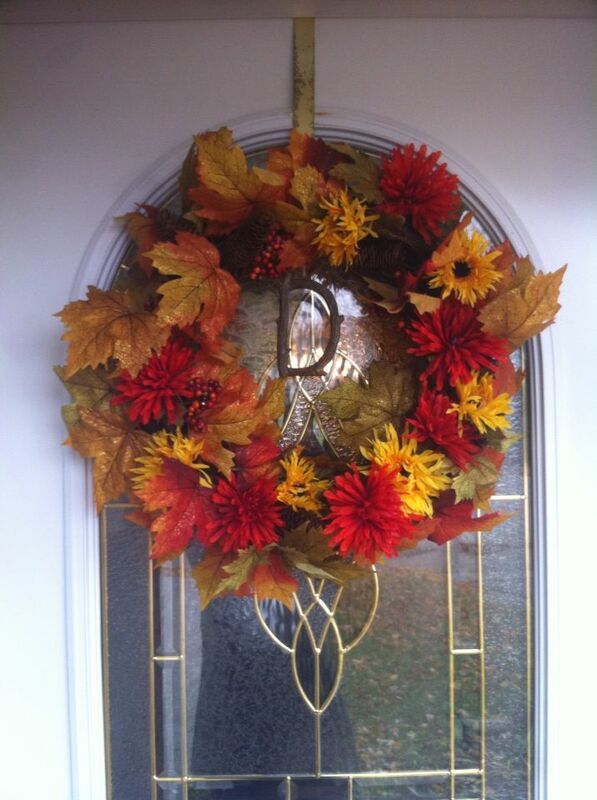 I love my fall wreath, and love even more that it only cost me a fraction of the store version. « Can You Really Make Money From Blogging? Wao! This is beautiful an it looks really easy to make. I always thought making decorations like this would be more complicated. Maybe I’ll try to make one this weekend. Thanks for sharing Jesenia! 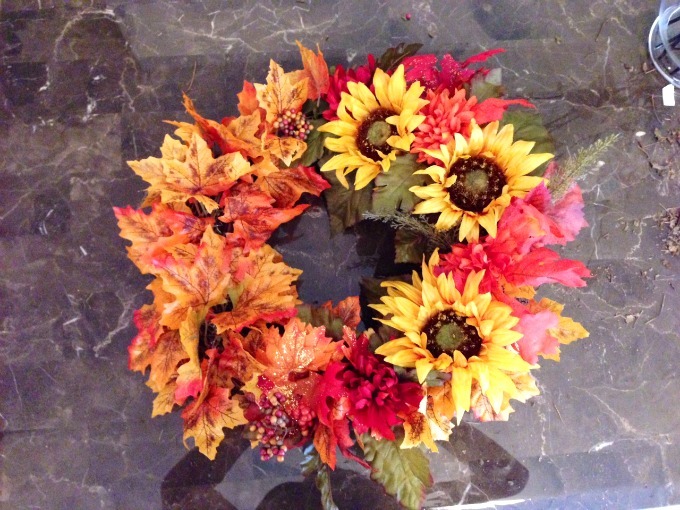 Love the fall sunflower wreath !!!!! !